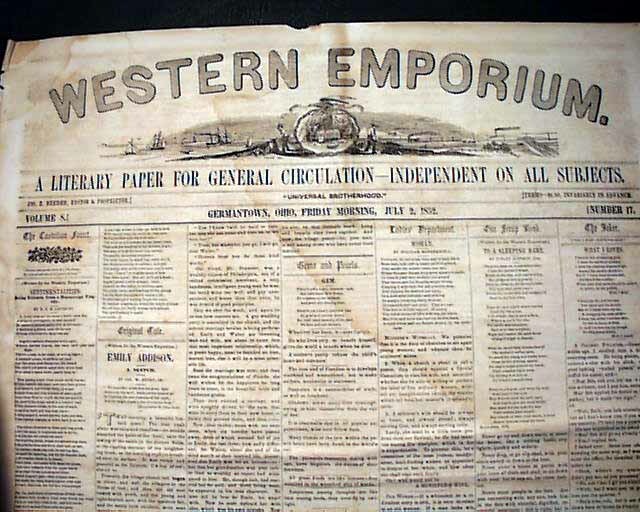 This newspaper sports a very decorative masthead. 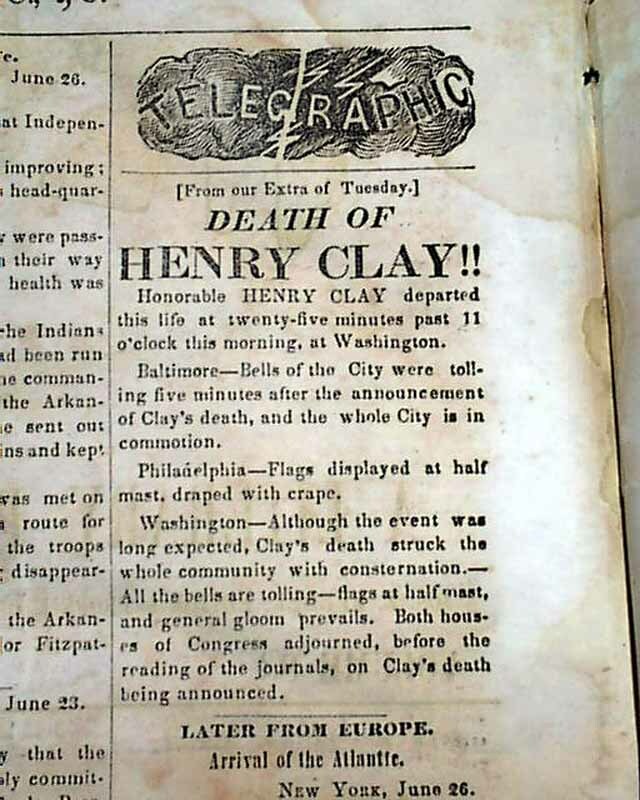 The top of page 2 has a dramatic announcement of the: "Death Of HENRY CLAY !!" beginning: "Honorable Henry Clay departed this life at 25 minutes past 11 o'clock this morning, at Washington..." with a bit more. 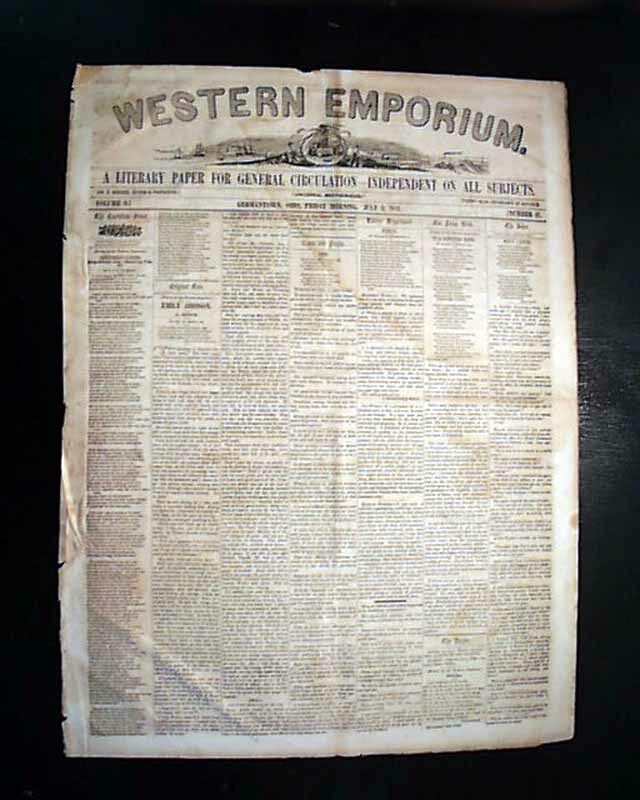 This report was taken from their "Extra" of June 29. Four pages, some light damp staining, generally nice.